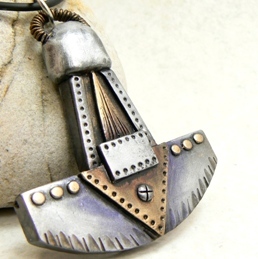 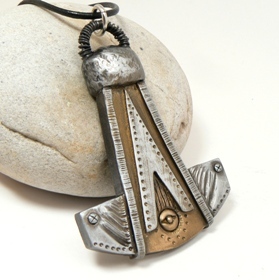 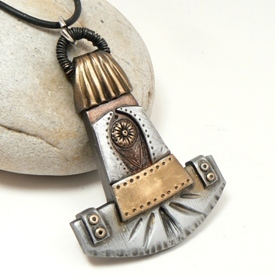 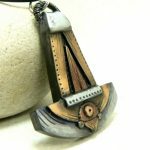 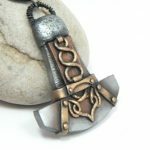 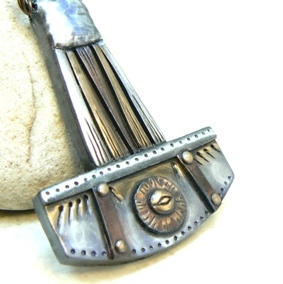 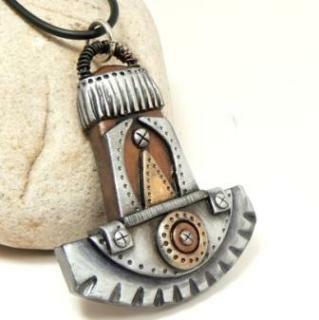 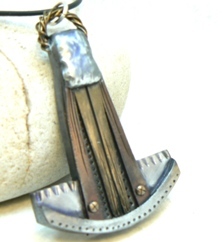 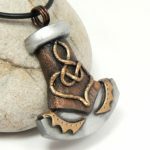 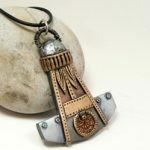 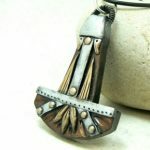 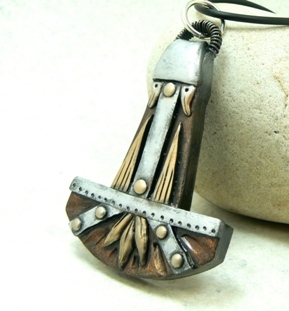 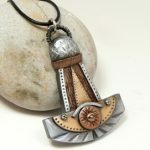 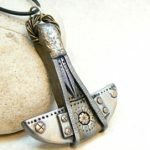 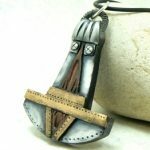 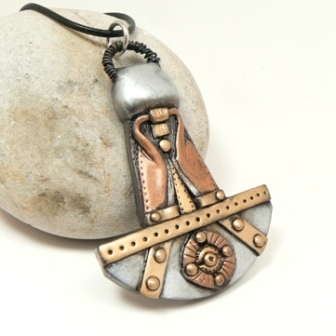 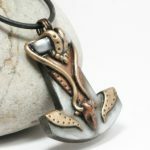 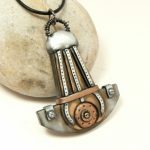 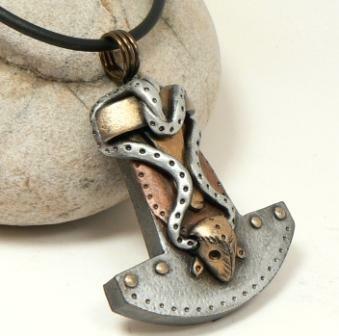 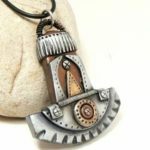 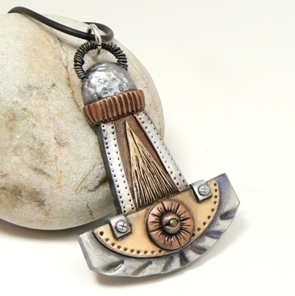 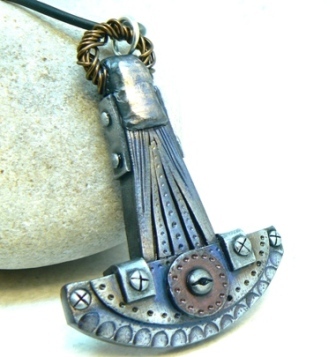 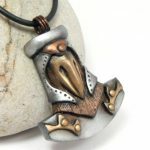 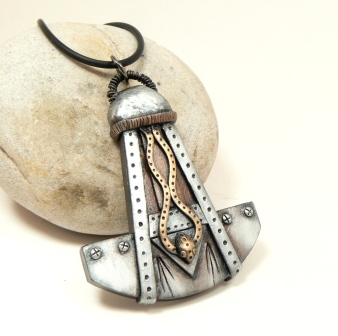 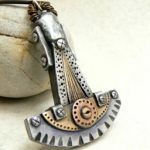 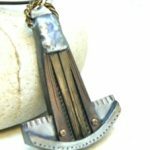 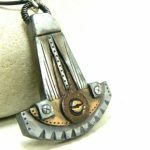 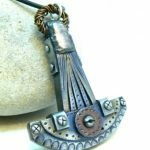 I made my first Thor’s Hammer pendant for a Polymer Clay Smoosher’s challenge, it pretty much sold immediately and since then these have been some of my most popular pieces. Like all my work I try to make each one unique by using different details. 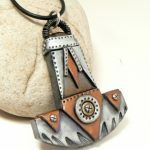 My second hammer had an all seeing eye and I wasn’t sure how well it would be received but they are very popular, so I make a lot with the eye on them. 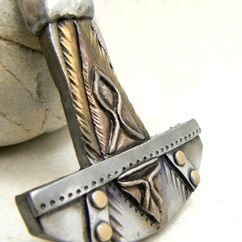 Some of them have mason-like details as well. They are pretty much all in my post apocalyptic/steampunk style though, with faux metal straps, rivets, and screws. 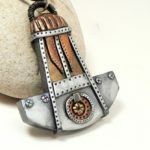 I make the wire piece at the top myself and each piece is entirely handcrafted by me from polymer clay and highlighted in metallic silver, copper, brass, and gold for a faux metal appearance. Thor’s Hammers in my online shop! 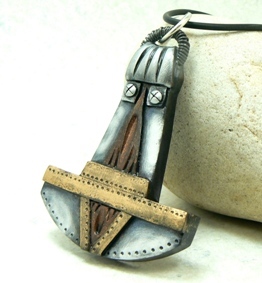 Desert Rubble Copyright © 2019.